Tessa Muggeridge of Cronkite News Service updates us on the abortion bills moving through the Legislature—including one that could have dire consequences on the UA College of Medicine's OB/GYN program. The state House on Monday approved and forwarded to the Senate two bills that would further limit abortion in Arizona. HB 2416, sponsored by Rep. Kimberly Yee, R-Phoenix, would require doctors to perform an ultrasound at least one hour before an abortion and point out the fetus’ extremities and offer the woman an opportunity to listen to the heartbeat and take a photo home. It would also change the definition of abortion to include abortion by pill and would bar doctors from using telemedicine to administer abortion by pill remotely. HB 2384, sponsored by Rep. Debbie Lesko, R-Glendale, would ban public funding or tax credits from being used to provide, pay for, promote, provide coverage of or provide referrals for abortions. It also would ban state universities and community colleges from using state funding or tuition money to train students to perform abortions. Both bills passed with a 40-18 vote mostly along party lines, with all Republicans and Democrats Catherine Miranda of Phoenix and Anna Tovar of Tolleson voting in support. Tovar and Miranda didn’t explain their votes. 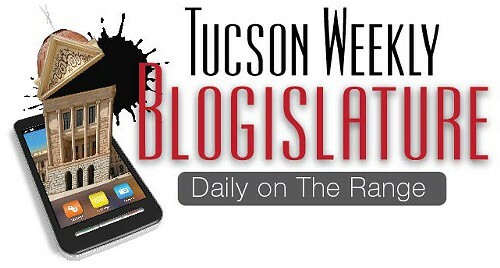 Rep. Matt Heinz, D-Tucson, a hospital doctor, spoke out against both measures, at one point even suggesting that the Legislature place an outright ban on abortion and let the courts decide rather than waste time considering abortion bills instead of the state’s suffering budget. Lesko said she introduced her bill to close a loophole that is allowing taxpayer dollars to fund abortions through the Working Poor Tax Credit despite a state ban on using public money for the procedure. That tax credit is an individual income tax credit that Arizonans can contribute to groups that provide assistance to the working poor. Democrats argued that voluntary tax donations in Arizona aren’t considered by the courts to be taxpayer money. Heinz said the bill would cause the University of Arizona College of Medicine to lose accreditation for its obstetrics and gynecology program because the measure would no longer allow schools to use state funding or student tuition dollars to teach abortion procedures. Lesko said she met with the bill’s stakeholders after they expressed concern and it was amended in the Health and Human Services Committee, but Heinz said he was still hearing from concerned Arizonans during the Monday afternoon meeting. Lesko said that health centers would still be able to distribute literature about all options for a pregnant woman without being considered as promoting abortion. Officials from Planned Parenthood Arizona have said that its abortion services are self-funded, so it would be family planning and other medical services for the working poor that would be affected by the donation limits rather than abortions. Democrats introduced amendments on both bills but none passed. Yee said her bill aims to protect women’s health and safety. The bill would also change the definition of abortion to include abortion by pill, placing facilities offering that option under the same accreditation requirements as facilities that perform surgical abortions, and ban the use of telemedicine to perform abortion by pill. Democrat Katie Hobbs of Phoenix said offering ultrasounds before abortions is already standard practice. “The one-hour time frame is arbitrary, not necessary and attempts to micromanage patient care,” she said. Several Democrats also opposed the bill’s provision to change the definition of abortion to include abortion by pill, saying it would restrict access for women seeking that type of procedure. Planned Parenthood Arizona officials have said Yee’s bill would force it to limit services in some areas and that its abortions services are self funded, so family planning and medical services are what would be affected by the limits on tax credits. Rep. John Kavanagh, R-Fountain Hills, said abortion by pill shouldn’t be regarded as an easy or safe option.